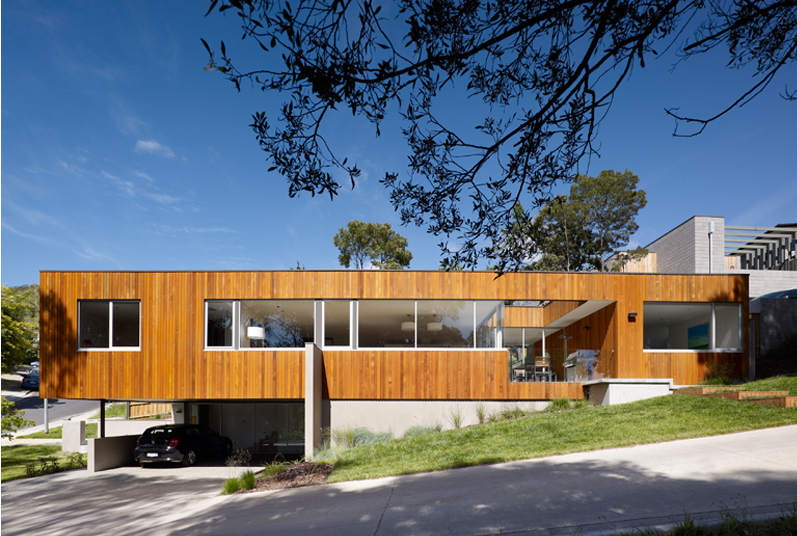 The Boot Leg Reserve house sits amidst a wooded setting within the suburb of Sandy Bay. 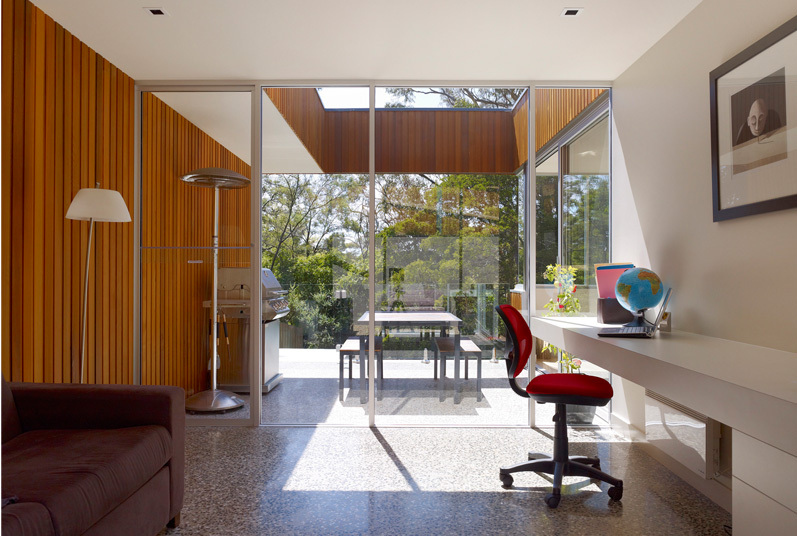 Designed for a young professional couple, separation between the adult and children’s bedrooms was also desired. 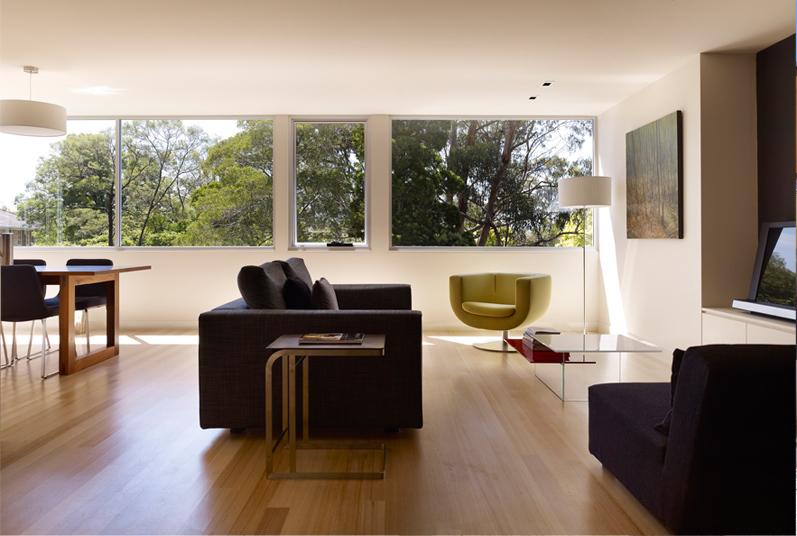 Conceptually the house is composed of a simple timber box sitting within a concrete cradle. The cradle is cut into the land and anchors the house to the site. 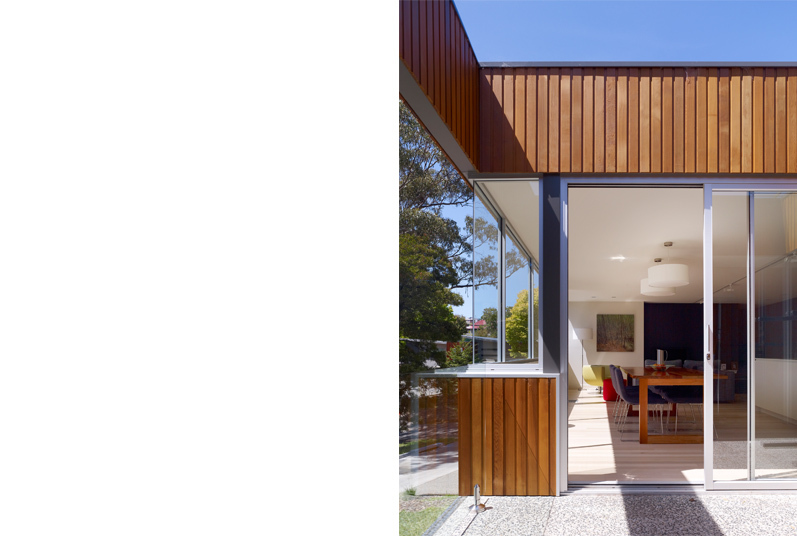 The simple form of the house, belies a complex set of spatial connections. Cross linked spaces and the manipulation of spatial volumes expands upon the perceived size of compact rooms and provides unexpected connections to spaces beyond. This was a key device used to make a smaller house feel larger.